When it’s time for tots to self-feed, try the OXO Toddler Feeding Set. 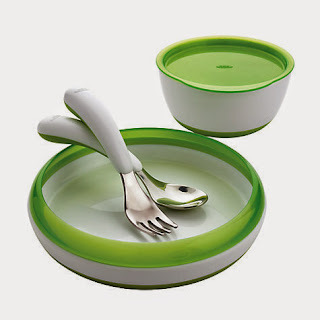 The OXO Tot Plate has a removable, curved ring and the Bowl features straight side walls, each designed to help guide food onto utensils with ease. Both have a non-slip bottom to keep them stable on the table. OXO Tot’s Fork and Spoon feature curved handles that are non-slip and easy for little hands to hold. Tines on the Fork capture food effectively and a deep Spoon shape makes it easy to scoop food and liquid. We have been massive fans of the OXO baby and childrens range since Maxwell was born. 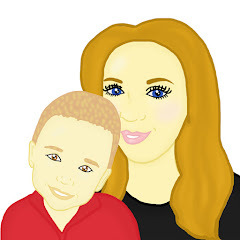 We have many of the baby and toddler items and they have all gone on to last us a long time. We also have items from the OXO kitchen range which again have lasted us a good amount of time and are brilliant quality. This would make the perfect gift for any toddler this Christmas. This Christmas Mummy To The Max has teamed up with OXO to offer one lucky reader the chance to win the OXO Toddler Feeding Set. To enter all you simply need to do is enter the simple rafflecopter below.